Critical Issues in Homeland Security: A Casebook encourages analytical and careful examination of practical homeland security problems through the presentation of contemporary cases involving major state or national events. Case studies demonstrate the complexity of challenges within the domain of homeland security policy and administration. 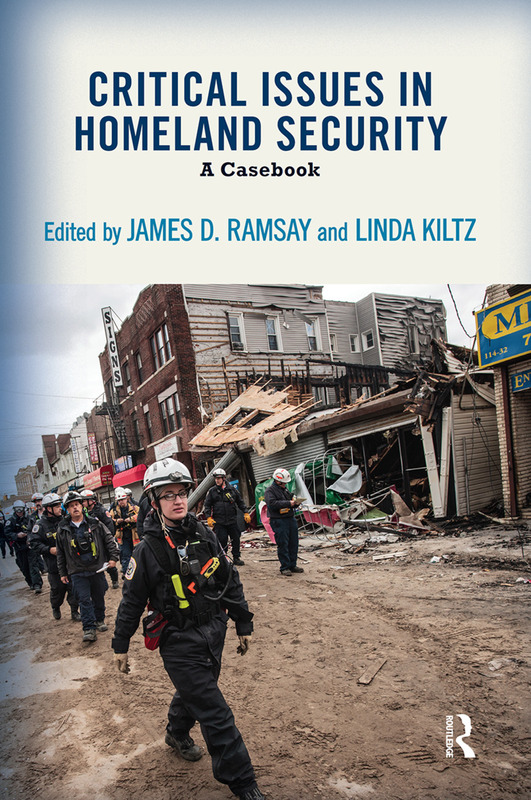 Editors James D. Ramsay and Linda Kiltz carefully curated fourteen cases, all from top scholars and practitioners, to cover a broad range of legal, policy, and operational challenges within the field of homeland security. James D. Ramsay is the chair of the Department of Security Studies and International Affairs at Embry-Riddle Aeronautical University. Dr. Ramsay has published widely on environmental security, critical infrastructure protection, and homeland security education. He serves on the editorial review boards for Homeland Security Affairs, the Journal of Homeland Security and Emergency Management and Journal of Homeland Security Education. He is also the coauthor, with Keith Logan, of Introduction to Homeland Security (Westview Press).Linda Kiltz is director of the master's programs in public administration, public policy, and science in nonprofit management and leadership at Walden University. Dr. Kiltz is the author of numerous articles in the Journal of Homeland Security and Emergency Management, Homeland Security Affairs Journal, and Journal of Homeland Security Education.